Discover a thrilling new word of action with the latest 2015 LEGO DC Comics Super Heroes! 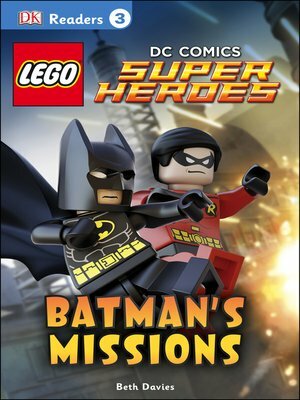 DK Readers L3: LEGO DC Comics Super Heroes: Batman's Missions features many of DC's best-loved heroes as they fight to protect the world from its darkest villains. Dynamic images and clear, informative text help children to develop their reading skills.